On Friday May 26, 2018 members of the Fish Creek Atlantic Salmon Club assisted students of the Camden Middle School in stocking the Mad River with brook trout that the students had raised in the school's laboratory. This program was done in corroboration with Trout Unlimited. T.U. 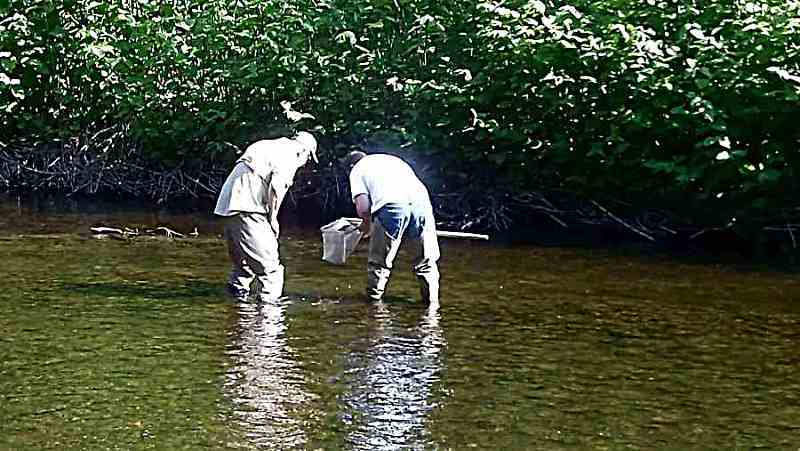 provided brook trout eggs and the club provided Atlantic salmon eggs. The club provided additional Atlantic salmon fry to the school so that every child got a chance to stock fish. Club members also collected invertebrates from the stream to show students. Due to a colder than usual April there were fewer invertebrates than normal found in the river.